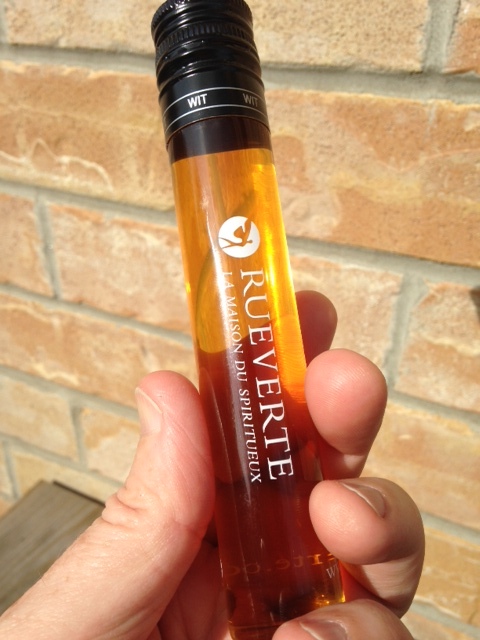 I like my eau-de-vie so good that it performs miracles. Let me explain. Loosely translated “water of life”, eau-de-vie comes in many forms. The Italian version is grappa [prune grappa my favourite]. My favourite French version – Armagnac. Who am I to argue with a Cardinal? Also, a little emboldening of the wit never hurt me. Most controversially, the traditional French gourmet dish ortolan has traditionally been prepared by force-feeding an Ortolan [wee bird] before drowning it in Armagnac and roasting it. The dish is now legally prohibited due to laws protecting the bird but I am certain the tradition continues. The French don’t take “Non” for an answer when it comes to food. Armagnac can be found in your Cognac and Brandy section – but you may need to ask your LCBO or Vintages consultant to bring some in for you if there isn’t any there [yes they do that]. I was pleased to discover that one of my Vintages consultants, Sarah, also loves Armagnac and is planning to bring in another one next September. Just in time to warm my soul. 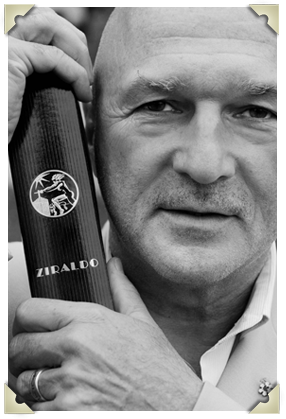 My man Orest, at the Scottsdale LCBO, is running another of his brilliant tasting events Saturday from noon – 4 pm. For $10 [donation to Bracelet of Hope] you get to try samples of Ontario Riesling, meet owners and wine makers, eat delicious food, meet the Godfather, and shake hands with the irrepressible Orest Poluch [once you meet him you’ll see why he can’t be repressed]. Here’s some of the information that you may need to convince you to tell one and all and make it to this event. Confirmed wineries below: if looking at #15 doesn’t get you excited about next Saturday then nothing will. Rheo Thompson from Stratford providing chocolate. Greek Olive oil from TITHOREA a new retailer dealing specifically in olive oil from Greece. A new southwest French inspired bakery in town called Eric the Baker will provide sweet and savouries. And Guelph’s own Planet Bean (100% Organic, Fair Trade coffee). Showcasing a new coffee from Congo. Craft beer breweries are taking the level of marketing to a new level. A clever hashtag seems to be born every minute [#wellyoneoff my current favourite]. New flavours and names are pushing the craft beer envelope [Muskoka’s Legendary Oddity reminds me of premium gin and what the heck is that falcon/peacock/scary antler deer thingy on the label?]. Lake of Bays Brewing Co. is speaking Canada’s true love language – hockey – through their NHL Alumni Signature Series. Last year they released China Wall Vienna Dark Lager, a beer dedicated to the Leafs’ legendary goaltender Johnny Bower. 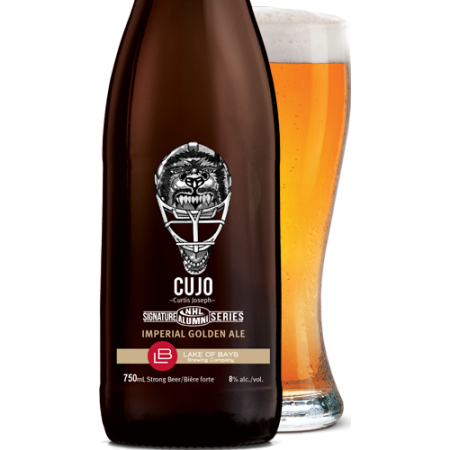 This year’s edition is Cujo Imperial Golden Ale. If I have to explain who Cujo is then you likely aren’t interesting in this blog post anymore. Only 16,000 bottles have been produced – I have one of them – and I know what my annoying Leafs fan brother-in-law is getting for his birthday [he’s only annoying because he’s a ridiculously optimistic Leafs fan – the only thing worse than an arrogant Habs fan – which I’m]. The Cujo is delicious. It starts off with sweet notes of caramel and honey, continues with some nice orange and grapefruit marmalade hops, and ends up with a nice dry finish. Very refreshing and not so hoppy that it blows your head off. My brother-in-law and I found ourselves conversing back and forth between hockey and beer for the entire sitting. And isn’t that what a great Canadian ale is meant to do. Now Habs fans, don’t worry, rumour has it that Jacques Plante gets honoured next with Jake The Snake Imperial Pilsner, a white ash wood aged strong lager. Go Habs. I love fear mongering as much as the next guy. That’s why I am fascinated by the timing of a Provincial election and the Beer Store ad campaign “Good Kids”. Every fearful person knows that the corner store guy will sell beer to any teenager who walks in with a crisp new twenty in his hand. My favourite part of this ad – that really does appear on TV [no, my American and European friends, I am not making this up] is the eyes of the kid at the 20 second mark of the ad. I swear his eyes turned a werewolf yellow the first time I saw it on TV. There’s no doubt in my mind that underage werewolves will get to buy beer at the corner store given the chance. I actually don’t mind having to go to the LCBO or the Beer Store to get my beer [no, my American and European friends, I am not making this up that’s what the beer store is called in Ontario]. I know that it seems archaic to the rest of the world but hey – this is Ontario – Upper Canada as we used to call ourselves. Let us indulge in our archaic nature.